I read this article and found it very interesting, thought it might be something for you. 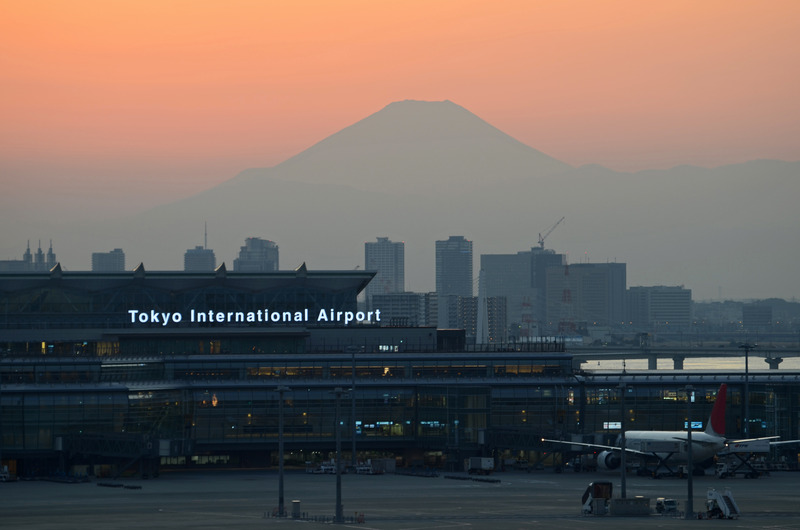 The article is called 7 Things to Know about Yakitori in Japan and is located at http://trip-n-travel.com/listicle/12195/. 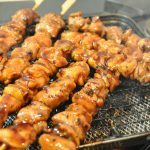 Some famous types of Yakitori found in Japan are Negima which is made of thigh meat and skewered with pieces of leek, Momo -made of chicken thigh, Torikawa- strips of fatty chicken skin, Tebasaki –chicken wings served in pairs, Reba-chicken livers, Nankotsu-cartilage from kneel bone in chicken breasts, Tsukune-meatballs made of minced chicken etc. Yakitori are prepared and cooked with easy to transport methods. Initially, it is prepared on charcoal grills. Most of the restaurants make use of stationary grills and at homes, it can be made using electrical appliances. For evenly cooking the meat is cut into small equal pieces then skewered with kushi. After skewering Yakitori is seasoned and cooked well. Seasoning of Yakitori is done by two ways salty or salty-sweet. 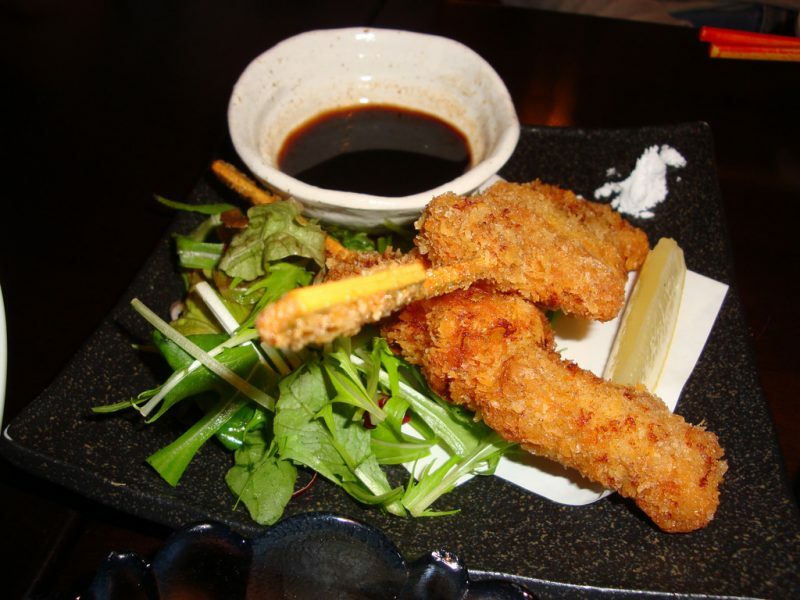 For salty seasoning salt is mainly used however for salty-sweet seasoning a different type of sauce is used made of mirin, soy sauce sugar and spices like shichimi, black pepper, wasabi etc. It depends on your taste that you like Yakitori with which of these seasonings. 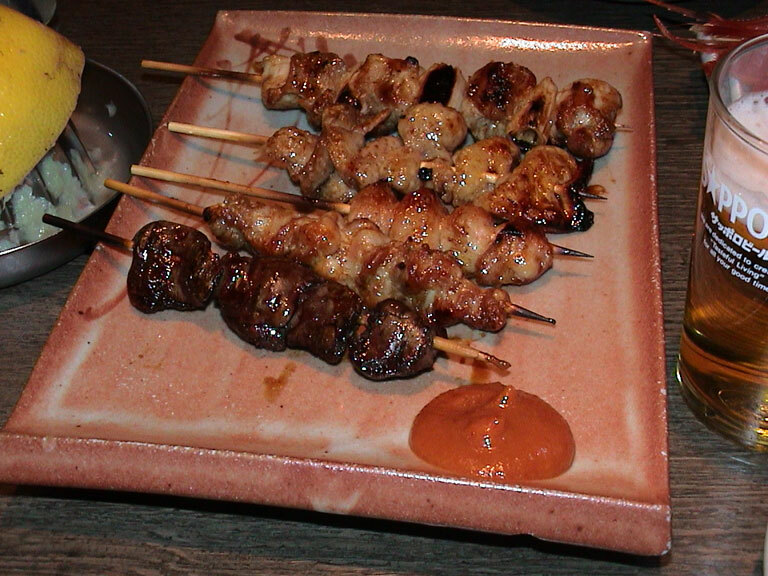 Yakitori is not much expensive and is commonly found at Yakitori-Ya and Izakaya. 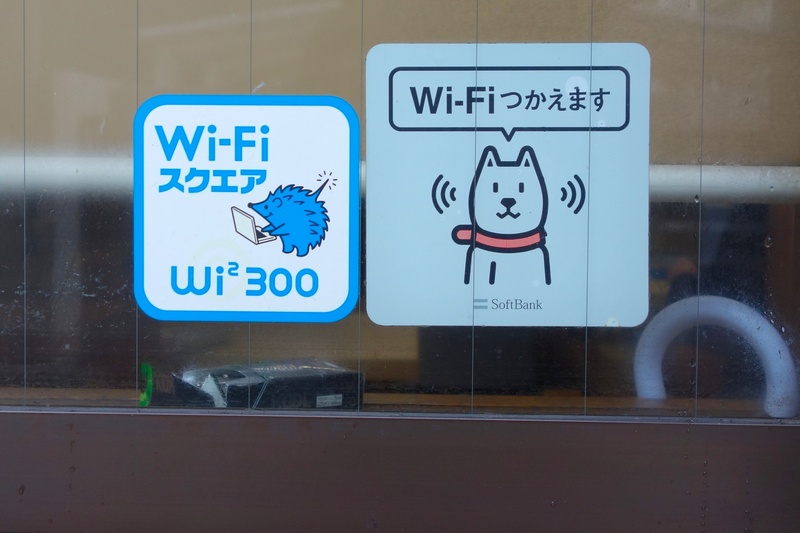 The cost of per stick is about 100-200 yen and is also sold in pairs. 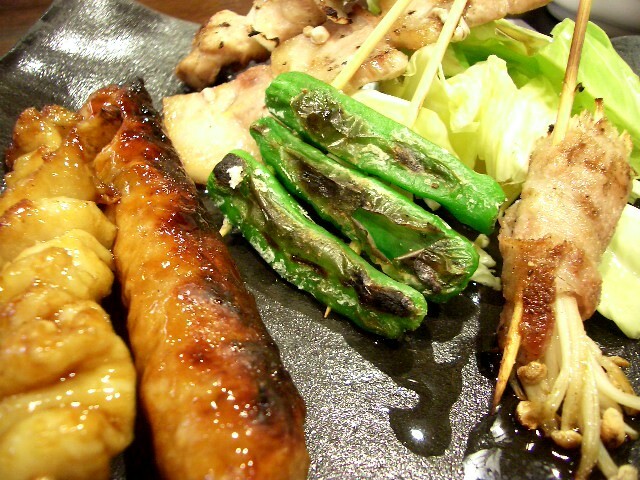 You can also enjoy different combinations of Yakitori at some restaurants. You need to keep one thing in mind that always order Yakitori in small batches, not in bulk. 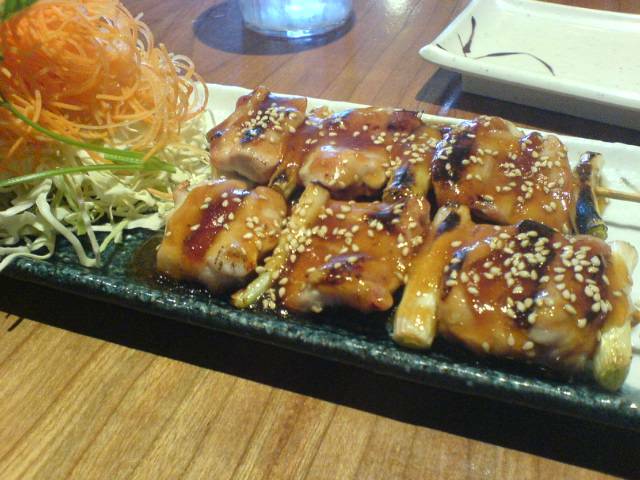 Yakitori can be ordered with either salty or sweet-salty sauce. The best way to eat Yakitori is with the help of chopsticks. 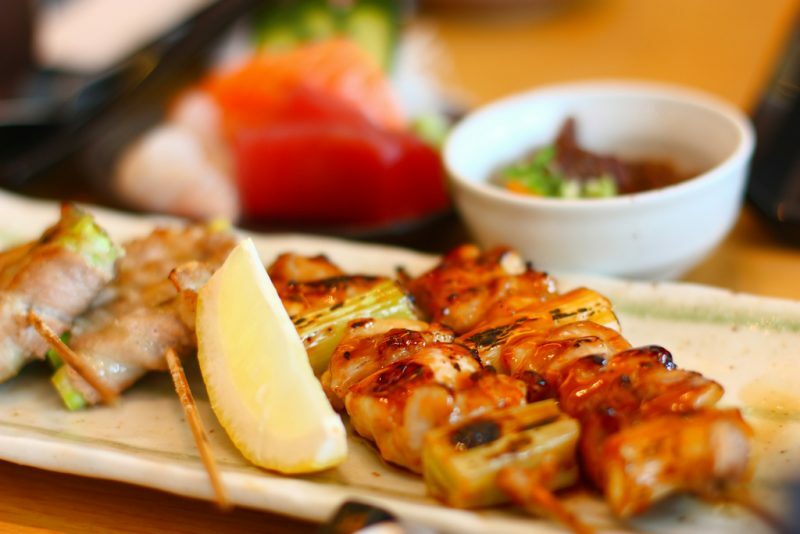 The Yakitori is mostly grilled on skewers made of bamboo, steel, and other materials. 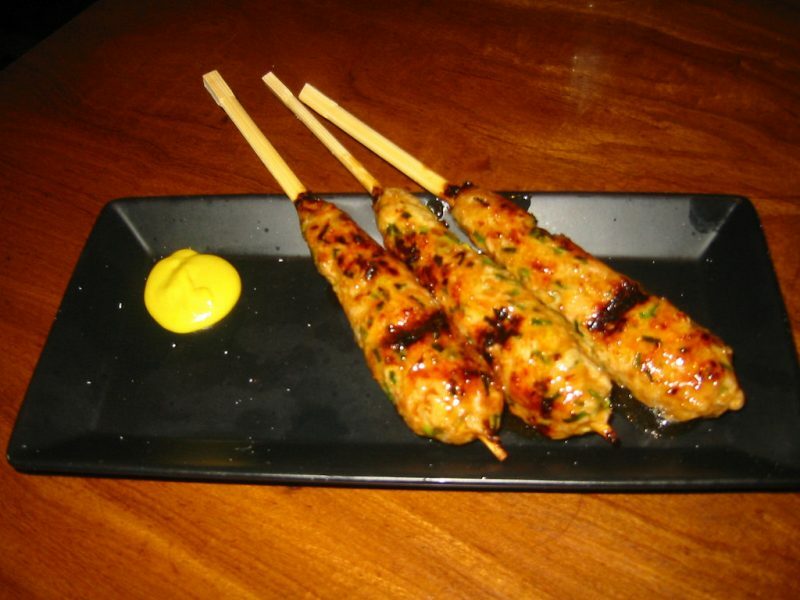 Most common and best skewers are of Bamboo which is also known as Teppogushi which is also the shape of gun skewers. As they are flat it become more easy to turn or hold them and only because of this flatness, they do not roll on the grill and one side can be grilled at one time. 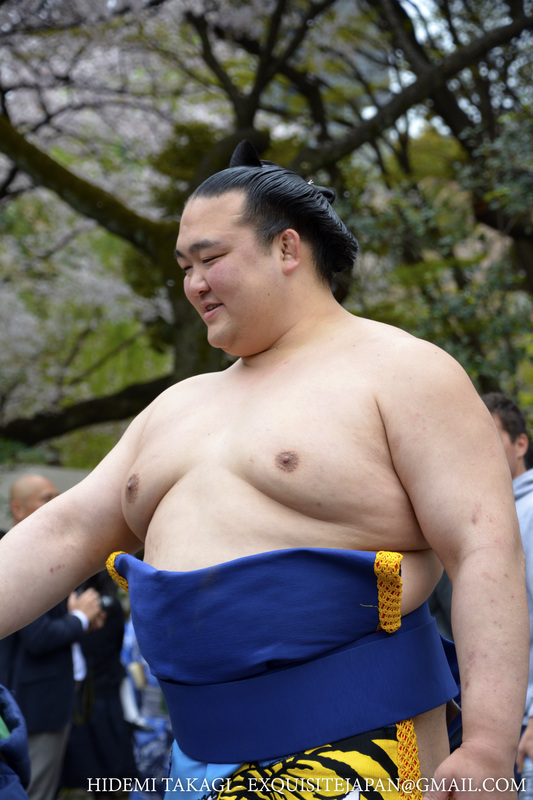 It is a famous dish of Japan and mostly enjoyed near all business districts. 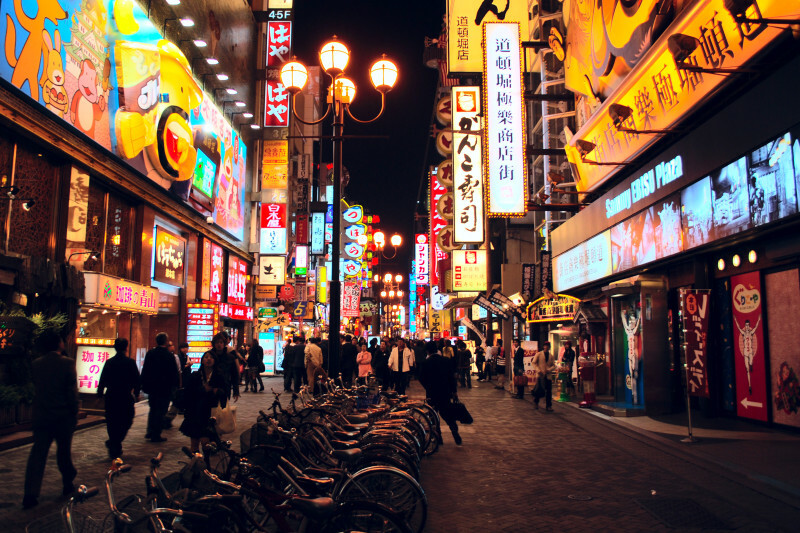 However, some popular places where Yakitori is served especially are Omoide Yokocho near the Shinjuku station and is a great destination for enjoying Yakitori. Another famous place is Yurakucho near the train tracks of Yurakucho station and Nakasu in Fukuoka where Yakitori is served with special Hakata Ramen noodles. 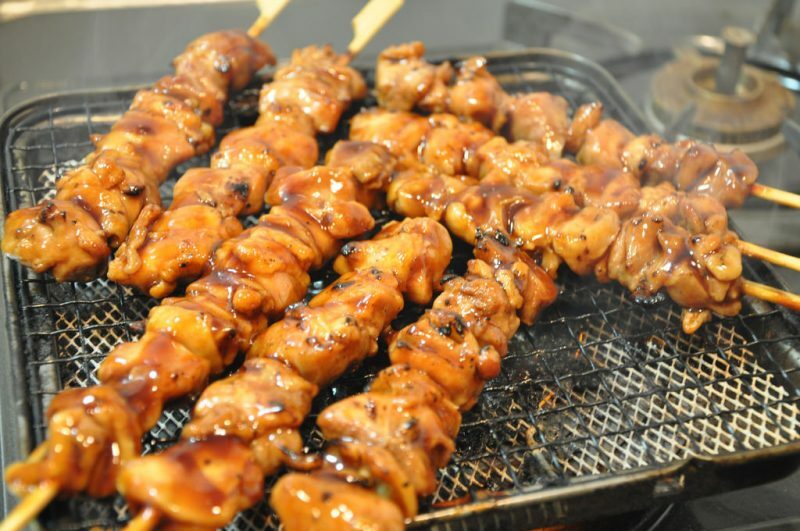 Yakitori is also served at places other than restaurants which are small compact shops and known as Yakitori-Ya which provides home services only and also they can be bought pre-cooked and in frozen form or cans. 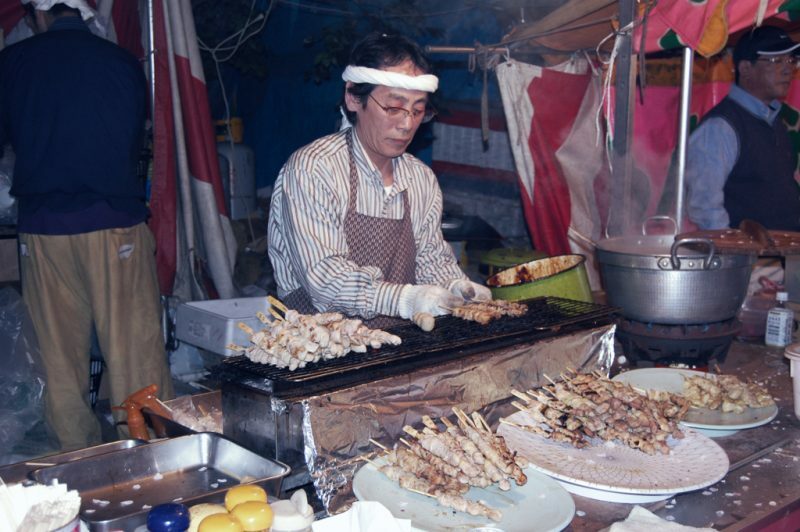 It is very famous street food in Japan and can be found on small carts and stalls in Japan. It can be served and enjoyed best with beer.